London Drugs Prince George Racks up the Pounds at the Recycling Tour on Earth Day 2018. As the snows recede and things begin to green up in northern BC, London Drugs Store Manager Christian Schenk welcomed Prince George recyclers to celebrate Earth Day with their annual Recycling Tour event. Christian and the Prince George London Drugs team have been running this event since 2014, and this years results show the citizens of Prince George are pitching in. Christian and the Prince George store team are also walking the talk themselves, with a red-hot 97.76% waste diversion rate. Way to go, Prince George! You are the REAL Green Deal! Comments: Comments Off on London Drugs Prince George Racks up the Pounds at the Recycling Tour on Earth Day 2018. Maybe it was the spring cleaning feeling in the air, or the excitement of Earth Day, but whatever the reason, the citizens of Nanaimo came out in force to support the London Drugs Recycling Tour on April 21st. Thanks to everyone who came out! If you want to gather up your own recycling, the Recycling Tour continues throughout the spring and summer with events in Courtenay, Campbell River, Squamish, Gibsons, Richmond, Surrey, Airdrie, Burnaby, Calgary and Lethbridge. And remember – you don’t have to wait for a special day to recycle at your local London Drugs. Here’s a list of the materials you can bring back to your local store any day. Recycling Tour Meets Pancake Breakfast in Downtown Vancouver. It was a sunny spring day in the atrium of the Woodward’s building on Abbott street, where long tables were set up with flowers, linens and settings for the PHS Community Services Pancake Breakfast. Assistant store manager Robert Rogers and Green Deal blogger Lorne Craig were on hand to welcome the crowd, spread the word about London Drugs’ recycling and accept items as part of our 2018 Recycling Tour series. People brought in computers, light bulbs and more. The Recycling Tour continues throughout the spring and summer with events in Courtenay, Campbell River, Squamish, Gibsons, Richmond, Surrey, Airdrie, Burnaby, Calgary and Lethbridge. Click here for all the dates and details. Comments: Comments Off on Recycling Tour Meets Pancake Breakfast in Downtown Vancouver. Take the #BringYourbag Challenge with RecycleBC and you could win Whitecaps tickets. On Wednesday April 18, London Drugs and Save-On-Foods teamed up with Recycle BC to launch the #BringYourBag Challenge. Take the one-week #BringYourBag challenge at RecycleBC.ca/BringYourBag, and see if you can go one week without using a single-use bag. Sign up, engage on Facebook, Twitter or Instagram, and you can enter to win a pair of Vancouver Whitecaps FC tickets. Over two million plastic bags are thrown in the garbage every week in the City of Vancouver alone, and Canadians use between nine and 15 billion plastic bags every year. So, can YOU go without single-use bags for a week? Take the #BringYourBag Challenge! Comments: Comments Off on Take the #BringYourbag Challenge with RecycleBC and you could win Whitecaps tickets. 10 years of recycling – What does 113 Million pounds of recycling look like? 2017 marks our 10th year of tracking our recycling by store, diversion rate and materials. So here are some of the highlights from the year and the decade. It’s a record of which all our employees and recycling customers can be extremely proud. So how much IS 113 million pounds? Any way you look at it, it’s a lot! So what did that decade of recycling include? All recycled responsibly, thanks to our recycling customers, hard-working employees and recycling partners – you are the REAL Green Deal! We continue to work with individual stores to improve recycling, and find solutions for new materials, such as wooden pallets, which we now recycle. Our top stores go above and beyond, sorting their garbage, and have been able to completely remove their bulk waste bins. More than half of London Drugs stores are over our goal of 95% diversion. 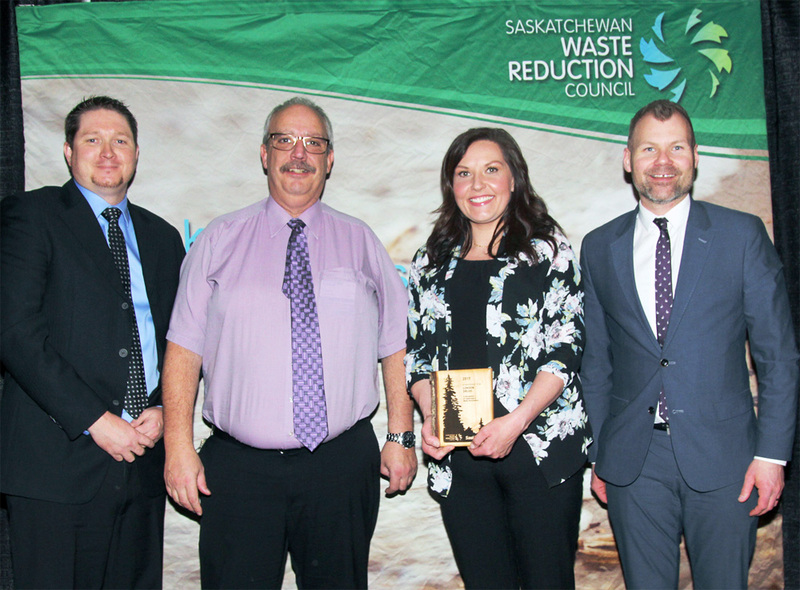 Best single London Drugs store recycling – St. Albert Alberta, with a 99.97% waste diversion rate! Since 2006 we have been reducing plastic bag use through education and reusable alternatives. In 2018 we introduced a 5¢ Bag Reduction Fee to help reduce bag use even further. We share this success with customers who bring recycling to our stores, employees who track every piece of waste and anyone who brings back their packaging to their local London Drugs. Together we can make a real difference in waste reduction. 3 Because of the wide variety of cargo, there is no ‘average‘ freighter ship. But Ed Enos, State & USCG licensed Harbor Pilot, estimated that if a 700-foot ship carries 1000 containers, each holding 25 tons of goods, the payload for one such vessel would be 25000 tons, or 50,000,000 pounds. Comments: Comments Off on 10 years of recycling – What does 113 Million pounds of recycling look like? When you see a computer, monitor, printer, or even a mouse pad, you may not immediately think to ask about toxic ingredients. But the London Drugs technology buyers do. That’s because the manufacturing high tech lifestyle products can include the use of lead, mercury, hexavalent chromium and other ingredients of concern. So when it comes to ordering components and products for London Drugs’ Certified Data, Tree Frog and other in-house brands, merchandise Manager Cedric Tetzel has made it a priority to go above and beyond Canadian standards for toxic materials. When ordering from Asian factories, Cedric and his team demand products be made to the European standards of RoHS (Reduction of Hazardous Substances) or REACH (Registration, Evaluation, Authorisation and Restriction of Chemicals). They have also worked hard to minimize packaging and replace non-recyclable PVC (Polyvinyl Chloride) with 100% recyclable PET plastic. Thanks for setting a higher standard and looking out for toxic materials, Cedric. You are the REAL Green Deal! Choirs were singing and civic dignitaries were shaking hands as on February 8th, The City of Vancouver recognized citizens and organizations who made a difference for 2018. London Drugs’ eleven Vancouver stores took home the award for Greenest City Leadership in the organization category, for helping citizens recycle everything from batteries to light bulbs to small appliances, and helping Vancouver reach its Greenest City goals. One and a half million reasons. The Vancouver stores alone diverted over ONE AND A HALF MILLION POUNDS of waste from landfill in 2017, including e-waste, batteries, light bulbs, ink cartridges and other recyclables that can contain toxic materials. Our teams were also recognized for promoting local products, recycling in our warehouse and networking to promote sustainability with vendors and government. This award belongs to all of us. And YOU. Dave Woogman, Manager of the London Drugs at Broadway & Cambie in Vancouver, accepted the award, but we share it with all London Drugs employees who do such a great job of sorting and diverting waste throughout our organization. We also recognize our customers who recycle more and more every year. And the leadership of London Drugs deserves credit for going above and beyond regulations to demonstrate true leadership in the retail category. This is the second major civic award for What’s the Green Deal this season, as our Surrey stores took home a 2017 Greenest City award in that city in December. We were in some amazing company, as citizens received awards for diversity, accessibility, health and civic volunteering. Congratulations to all winners at the City of Vancouver Awards of Excellence. You are the REAL Green Deal.